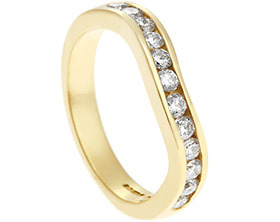 This dramatic 18ct yellow gold ring holds our customers own 5.5mm (0.55ct)diamond together with anew 4.5mm (0.34ct), 3.5mm(0.17ct) and 2.5mm(0.07ct) HSI diamonds. 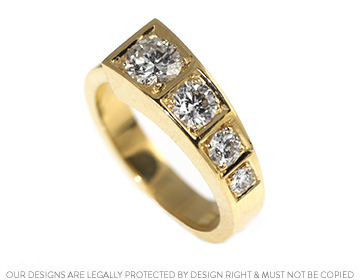 Each diamond has been grain set with in square shape. 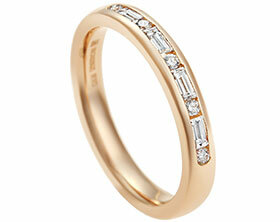 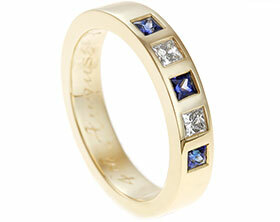 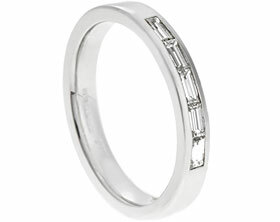 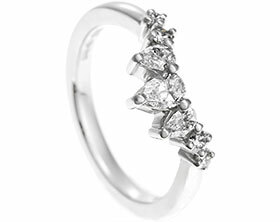 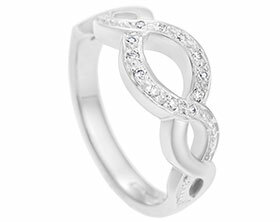 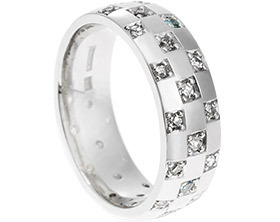 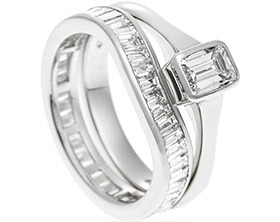 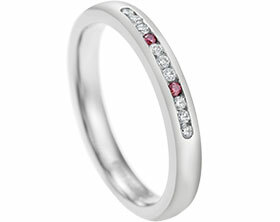 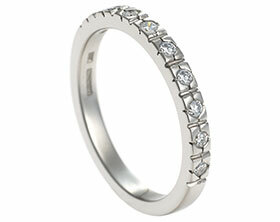 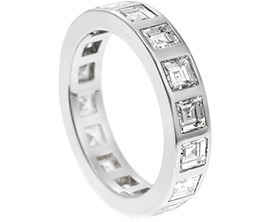 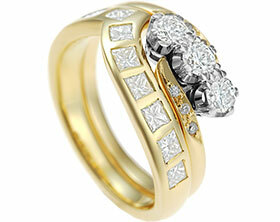 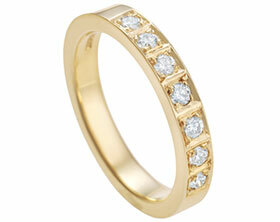 To highlight the striking contemporary shape the ring has been polished to a high shine.